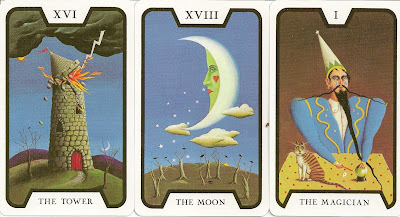 This Tarot is also known as Fergus Hall Tarot, it was designed for use in the James Bond film Live and Let Die. Originally published under the title of The James Bond 007 Tarot Deck, the publisher changed the name of the deck to Tarot of the Witches several years later. 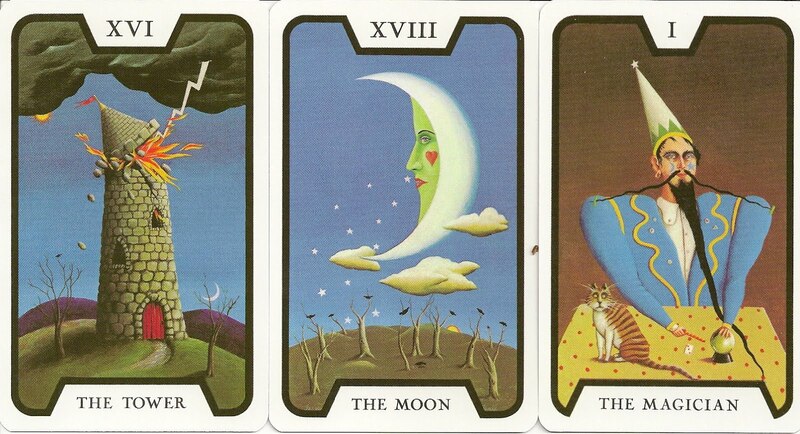 The cards were painted with oils on canvas; the numbered cards of the minor arcana are pip cards only. In the movie 'Live and Let Die' Solitaire's cards had a couple of illustrated minors that weren't published with the commercial issue - a six of swords complete with boat and a seven of wands with warrior.